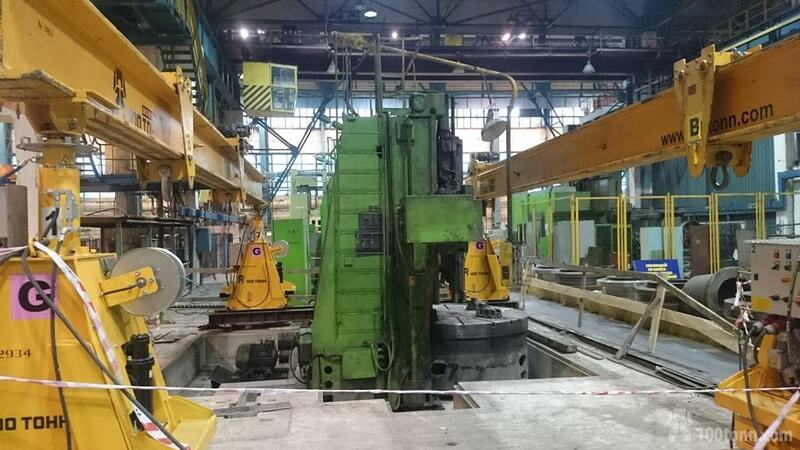 In April 2016 our Company dismantled a 15-25 turning-and-boring machine at the production site of EVRAZ NTMK (EVRAZ Nizhny Tagil Metallurgical Plant, OAO) in Nizhny Tagil (Sverdlovskaya Oblast). Lifting capacity of the available overhead cranes turned to be insufficient for the required operations, therefore a GP 60 gantry system with special tools was applied for the works. 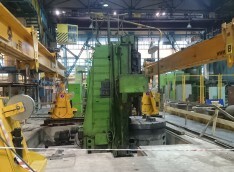 The works were accomplished in four stages: dismantling, transportation, installation and setting to work under supervision of EVRAZ NTMK specialists. It should be noted that prior to set the machine to work, the CUSTOMER’s land-surveyor had developed an as-built drawing for installation of the machine parts, which led to ideal installation of the machine.